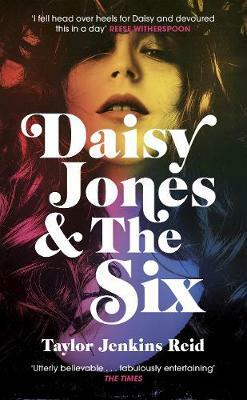 A mesmeric novel of fame, love, music and what happens when luck runs out and the lights go down, Daisy Jones & The Six tells the story of the stratospheric rise of a band whose sound defined an era and whose sudden, cataclysmic split left a trail of unanswered questions in its wake. Intoxicatingly written, with a cast of characters to instantly fall for, it’s a nostalgia-fuelled trip into the heady world of 70's L.A. at its hedonistic peak. For a while, Daisy Jones & The Six were everywhere. Their albums were on every turntable, they sold out arenas from coast to coast, their sound defined an era. And then, on 12 July 1979, they split. Nobody ever knew why. Until now. I received a free copy of this book in exchange for an honest review! Oh god almighty. This was so fresh and rock’n’roll and just wow? I did not expect to feel like this after finishing this book. Thank you so much to the publisher for sending me a proof of this at Waterstones in Barnet!